If you’ve listened to the podcast at all, you’ve undoubtedly heard me rave about Mythic Legions. As I’ve mentioned countless times- these figures can be tough to get your hands on if you don’t get involved in the pre-orders or Kickstarter. That being said, you’re in luck since the newest figure wave, Siege at Bjorngar, is now live for pre-orders! Orders will be open until December 27th at 3pm EST, so be sure you get your order in! Head over to Store Horsemen to get in on the action! 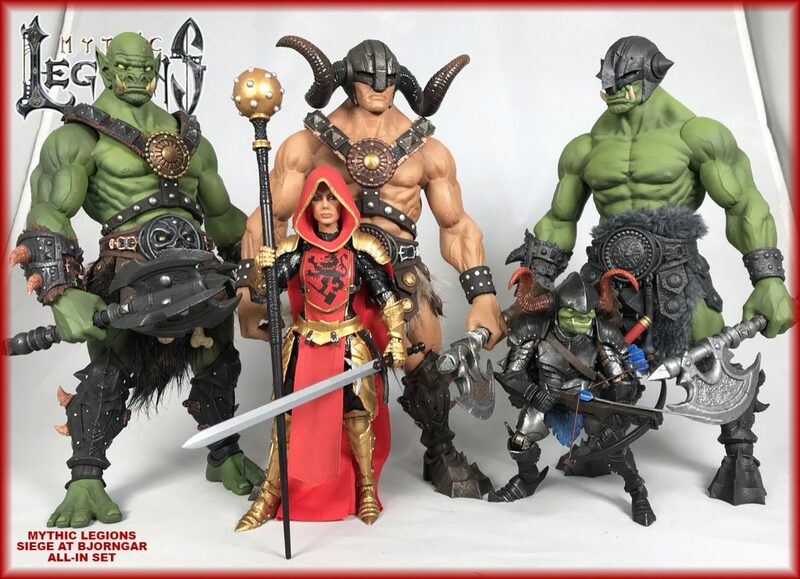 5 Brand New Mythic Legions Figures! This wave features two brand new large size action figures- the ogres! Both Kkurzog and Bolthor the Tower are available individually, in a two-pack, and also as a part of the All-In pre-order. The two new figures include Faustia the cleric and Thwikk the Goblin Archer. Previous PostThe Earthworm Jim Special, Marvel Legends, Mythic Legions, and more!